No, I have not changed my mind: I still hate most of the BB creams on the market. 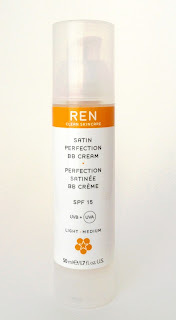 But I have find one that I really like and no surprise: it's from REN, a brand that has yet to disappoint me. A silicone free BB cream that leaves the skin looking flawless, even toned and luminous with a perfect non-oily, satin finish. This true multi-function cream provides flawless coverage that banishes imperfections, gives SPF and anti-oxidant protection while photo-rejuvenation technology offers a toning, firming, anti-ageing effect. The first thing about this product that I like a lot is the texture. 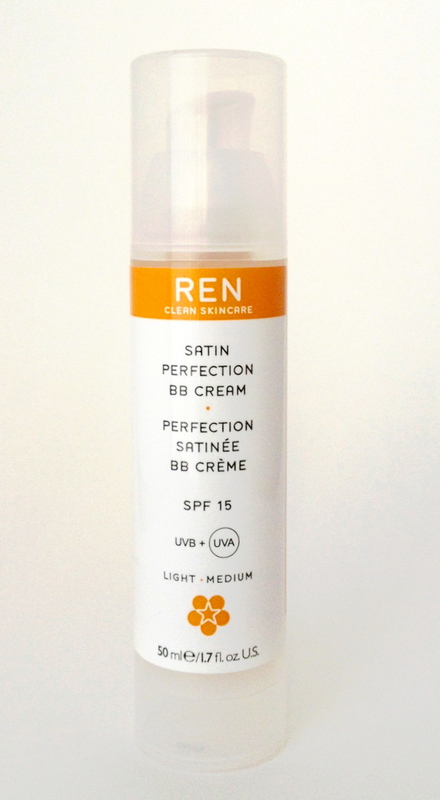 Where lots of BB creams have a very rich texture that I find hard to blend and quite dry, this one is a much lighter texture that almost feels like a mousse. I do apply it on top of moisturized skin, though, otherwise it can still feel a bit dry when spreading it - but nowhere near as much as all the other BB creams. The second thing is the color: where lots of BB creams are either greyish or frankly orange (yes, L'Oreal and Garnier, I'm looking at you), this one gives a bit of a healthy glow that does remind me of Origins VitaZing. It would probably look like skin on an NC20, if you are lighter, it will give you a bit of color, but in an non-orange non-offensive way! I found that it is more satin than matte (which I like) and that through the day it can be a bit too dewy if you don't powder it - but that's what I experience with most products. The coverage is very light, if you want to hide redness or discoloration, you will need to add some concealer. What I like to do during Summertime is to use a product like this one or This Works Perfect Skin Miracle all over, and then dab a light foundation like Chanel Vitalumière Aqua around the nose and chin where I want more coverage. When it comes to packaging, this is an airless pump, which is really hygienic, and you can always see how much is left as the tube is transparent. Little bit of a negative there though: the pump isn't always working great, and also you need a good couple of pumps to do your whole face, particularly as it doesn't dispense the same amount every time. That would be my biggest negative point about this product. Finally, this product has SPF15 with broad spectrum. It's really not enough in the Summer time, unless like me you spend your days working behind the computer inside the house - otherwise, you'll need a stronger SPF underneath. As per usual, REN avoid using as many nasties as they can, which is a great bonus. Have you tried this cream and did you like it? I love it too (and had been generally unimpressed by other BBs). I too got a sample (in a beauty box I presume) and liked it enough to pick up the full size in duty free on my way out to Egypt on honeymoon. Used it for 10 days on honeymoon in the evenings and was very impressed. Agree about the almost mousse texture too.